Jenny Talks: WS: Run... Here comes Sponge Bob!! WS: Run... Here comes Sponge Bob!! I was not feeling well yesterday but that doesn't stop me from taking photos. 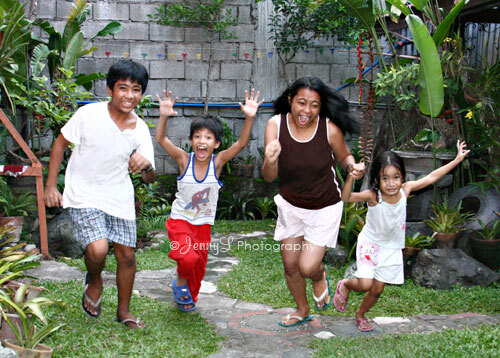 As usual there's my nieces and nephews that are so game to fool around with me. 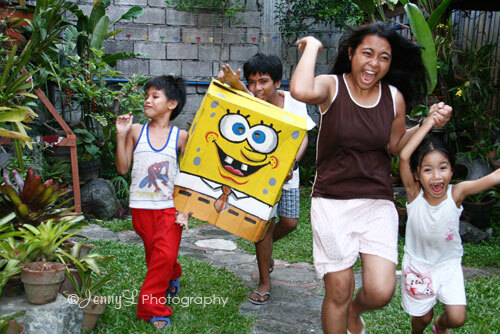 I was experimenting with my shutter speed using the Tv (Shutter priority) mode so I asked them to run as if SPONGE BOB is chasing them (LOL) and hoping I can freeze their actions.. I think I did a good job if not the best. Nakakatuwa naman ito Ate Jen! Hope your feeling better now. Have a great week ahead.